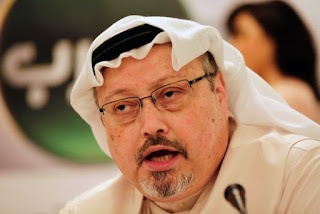 GENEVA (AP) — A U.N. human rights expert said Thursday that Saudi Arabia undermined Turkey’s efforts to investigate the death of journalist Jamal Khashoggi, which she described as a “brutal and premeditated killing” planned and carried out by Saudi officials. Agnes Callamard, the U.N. special rapporteur on extrajudicial, summary or arbitrary executions, made her assessment Thursday after visiting Turkey. Khashoggi, a Washington Post columnist who wrote critically about Saudi Crown Prince Mohammed bin Salman, was killed inside the Saudi Consulate in Istanbul on Oct. 2. His remains have not been found. During its Jan. 28-Feb. 3 trip to Turkey, Callamard’s four-member team met with the foreign and justice ministers, the country’s intelligence chief and the prosecutor leading the case. Callamard concluded that “Turkey’s efforts to apply prompt, effective and thorough, independent and impartial, and transparent investigations — in line with international law — had been seriously curtailed and undermined by Saudi Arabia,” the U.N. human rights office in Geneva said in a statement. “Woefully inadequate time and access was granted to Turkish investigators to conduct a professional and effective crime-scene examination and search required by international standards for investigation,” Callamard said. Evidence collected during the trip indicates “that Mr. Khashoggi was the victim of a brutal and premeditated killing, planned and perpetrated by officials of the State of Saudi Arabia,” she said. She did not point to any specific official. Callamard’s team was given access to parts of the audio material obtained by Turkish intelligence on Khashoggi’s killing, but was “not able to undertake a deep technical examination of this material” and didn’t have an opportunity to authenticate it independently. Callamard plans to present her final report to the U.N. Human Rights Council in June. Turkish officials have been frustrated by what they say is a lack of cooperation by Riyadh and have called for an international inquiry. After denying Khashoggi was killed in the consulate for several weeks, Saudi Arabia indicted 11 people in the killing and is seeking the death penalty against five of them. Turkey says Saudi Arabia must reveal the identity of a person who is thought to have disposed of the journalist’s body and hold all involved accountable.